Nithcree are a Dumfries-based driver training specialist. Nithcree Training are accredited by Investors in People, Driving Standards Agency, RTITB, SQA, Edexcel, ALLMI and NDGTC. We have achieved our Investors in People Bronze Award and DSA Approved Centre status – the only one in Scotland and have recently been approved by JAUPT to deliver the Driver CPC. 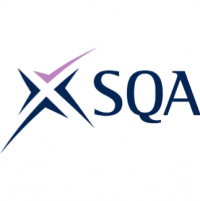 Our aim is to continue providing a quality service to all our clients to maintain and improve our current success rate, whilst still keeping the small friendly atmosphere. All our staff were previously industry based in the field they train in. At Nithcree we’re firm believers that experiences count as well as qualifications. We’ve handpicked all our instructors and they all individually bring over 20 years of industry based work experience to the table. 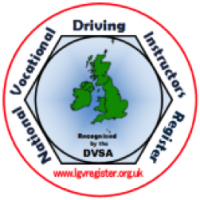 We have invested a lot of money into qualifying all our instructors and they are all DSA registered driving instructors. 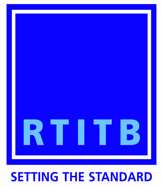 We have four who are RTITB forklift instructors, 5 City and Guilds Assessors, 2 trainee assessors who are near completion, 2 City and Guild Verifiers. Our office staff all come from the haulage/warehousing industry as well so can appreciate the nature of courses and help individuals with decisions and advice. Mark has over 30 years of warehouse and forklift experience working as an operator, progressing to supervisor then manager. He has been over 28 years of lorry driving experience covering all aspects of the industry and various types of vehicles. Mark also has experience of operating cranes for over 13 years. Davie has over 46 years of experience working with general haulage, wide loads and high value loads. Davie also has several years experience of carrying out traffic office duties and has held a transport manager qualification for many years. Sandy has had over 28 years of driving experience and 10 years of Coach driving. Sandy holds his full driver CPC and ADR qualification and is also our resident drivers hours and IT expert. Jamie has over 20 years of HGV driving experience. He has worked delivering fuel, and general haulage as well as working with lorry loader cranes. Jamie also has experience of working in livestock haulage, bringing this knowledge to Nithcree to pass on to those entering into the haulage and specifically livestock haulage sector. Jim Campbell has over 46 years of lorry driving experience. He has worked in general haulage, boat transportation, European transport and tankers. Jim brings a wealth of experience and knowledge to Nithcree. Hamish has worked in the industry for 22 years. He is a time served tyre and breakdown fitter and has varied experience across many aspects of the haulage sector including parcel and pallet deliveries, UK and Ireland HGV driving experience. Hamish also has experience with driving tipper lorries, tankers, refrigerated trailers, curtain sided vehicles, and fuel tankers. Geoff has been involved in the freight logistics sector for over 40 years. Geoff has covered all aspects of haulage from warehousing, transport office duties to driving both in the UK and on the continent. Geoff has driven all types of vehicles and brings a vast level of experience and knowledge to pass on to trainees.